Vijay Raja Ideal Homes is a flat for sale located in Poonamallee,Chennai, India is developed by Vijay Raja Homes which indulges favorable living and chic relaxation.We have designed our flat with extra care to offer the best in every building construction. Our residents can make use of our high quality fittings, world class amenities, exclusive interiors and more for the comfortable living. TATA Value Homes Limited proudly presents TATA Value Homes Santorini, a luxury Residential Apartment available for sale is located in Poonamallee, Chennai is a CMDA approved apartment. VME REALTY PVT LTD offers 3 BHK Residential Apartments at Poonamalee for Peaceful and scenic living with jogging track, skating rink, basketball court, children play area, multipurpose hall, meditation zone, Indoor games area, Gymnasium, Library, theatre, departmental store and security systems the lakeside apartments are meant for the lifestyle living. 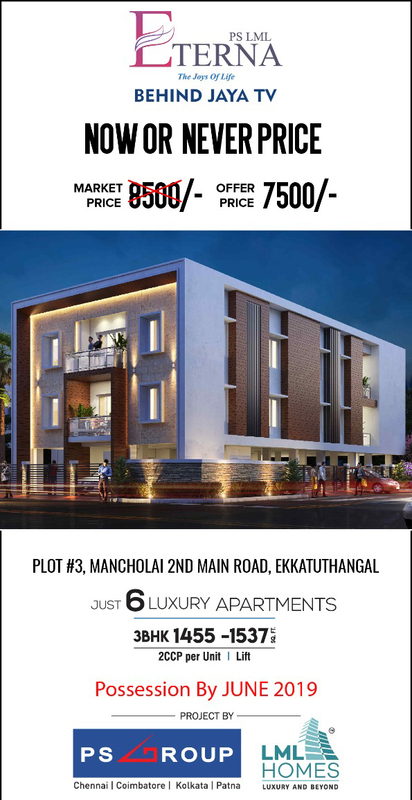 Arun Excello Realty Private Limited brings you a Residential Apartment, Arun Excello Manjari is located in Poonamallee developed with 208 functional units with efficient design and crisp elevation with no frills attached. KG Foundations (P) Limited promotes KG Centre Point, a flat for sale in Poonamallee,Chennai, India includes all benefits of amenities a luxurious home should have. We make use of quality materials for developing our apartment and developed keeping the customer expectation in mind for best quality results. 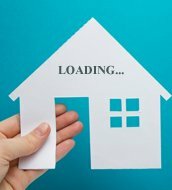 Radiance Royale, a flat for sale located in Poonamallee, Chennai is developed by RADIANCE REALTY DEVELOPERS INDIA LTD. We have maintained responsiveness, timely delivery, quality and effective manpower management for the reputation. We offers excellent infrastructure, ample ventilation, exclusive interiors, breathtaking architecture and are also surrounded by major facilities. Golden Opulence from Golden Homes is a apartment for sale is situated on Poonamallee High Road, Chennai. Reputed schools, colleges, hospitals, entertainment/ amusement parks and malls are located within a few minutes drive from Golden Opulence.It is also located very close to the shopping areas of Anna Nagar. Baashyaam Le Chalet from Baashyaam Constructions pvt ltd is a residential apartment available for sale is located in Poonamalle, Chennai. Equipped with amenities that offer a global lifestyle, Le Chalet has a fine balance between the hustle and bustle of the city and the calm environment of the suburb. It delivers a unique concept of independent living in a gated community with over 202 villa homes in Phase 1 and they will be adding 200 more in Phase II.